I haven't blogged in a while, and I have lots to share. However, I think today is better spent reflecting on the events of 9/11 and praying for peace. My 11 year old had a school assignment to interview me about 9/11. One of his questions was "what do you remember about that day?" I told him that I can barely remember what I did yesterday, but that I remember every detail of that day as if it happened just a moment ago. It changed life as we knew it. What a great assignment - he has a very wise teacher. 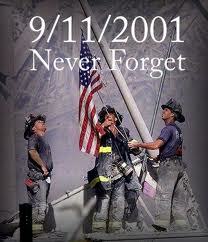 It has really struck me this year that anyone 16 and younger most likely has no first hand memories of that day. My parents were in high school when Pearl Harbor was attacked and I remember asking soooo many questions about that day, but their emotions became much more real for me on 9-11. I am with you! I can remember exactly what I was doing when they came in and told us the 2nd plane had hit. I am very thankful that my boys are not old enough to ask to many questions. It still brings tears to my eyes when I talk about it or see something on tv. Wet Bar Turned Work Station?